Have you been having a hard time getting your property noticed by potential renters? It’s tough, as competition is stiff. There are some things you can do to make your place stand out and most involve making some serious upgrades. If you don’t have tons of disposable income though, don’t worry—you don’t have to break the bank to upgrade your property. Here are some upgrades that will make your property a standout without blowing your budget. 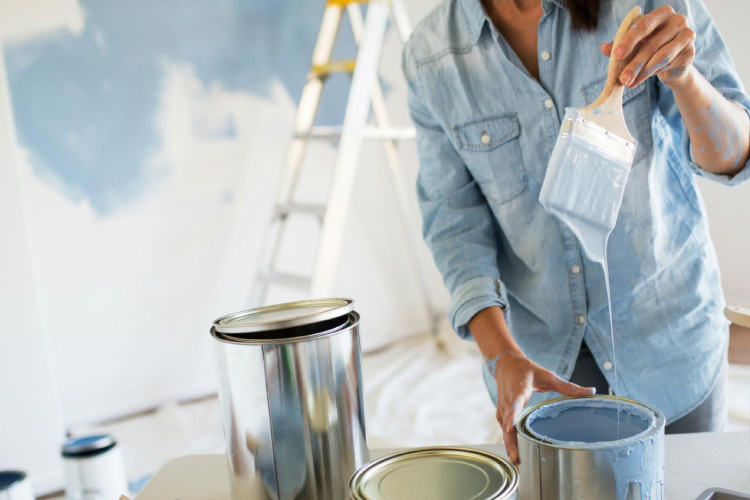 Freshening up the place with a new coat of paint is an easy way to breathe some life into a stale home; if you do it yourself, it doesn’t actually cost all that much. Get some help when deciding on complimentary colors and try doing something modern and cool, like painting an accent wall in the bedroom. You can also use some chalkboard paint to create a unique area in the kitchen for to-do lists—everything that sets you apart from the pack is sure to help. There is nothing worse than old, gross faucets in the bathroom, so switch out the grimy ones for some shiny new hardware. Make sure they all match and have the same finish, like chrome or bronze. Find a variety of bathroom hardware options on SignatureHardware.com. While you’re at it, consider investing in a new sink faucet to give the kitchen a facelift. Kitchen backsplashes aren’t always super expensive, but they pretty much always look cool. Get some neat tiles or unique glass pieces and create something that will really make the kitchen pop. It might require some prep work and a bit of investment, but this upgrade will pay off big when potential buyers point out how cute it is. If the cabinets in the kitchen and bathrooms have not been updated since the house was built in 1980, update them. Immediately. Renters want a move-in ready home, so they are going to be turned off by cupboard knobs that look like they are decades’ old and wood cabinetry that looks even older. Plus, simply replacing cabinets and cabinet hardware could be all you need to make a kitchen look brand new again. Making the right upgrades in your ktichen can make all the difference, and if you’re not sure how to begin, start researching. 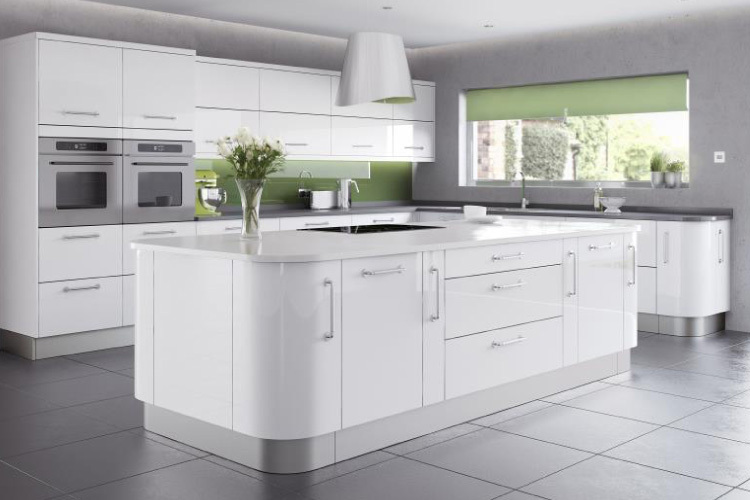 Take a look at modern design trends on Better Home & Gardens, or read tips and helpful advice for landlords about property upgrades on MySmartMove.com. The front door offers the first impression—make it a good one. Be sure the door is washed clean—as well as the porch, if there is one—and consider painting the door a bright color that will complement the color of the house. Spruce up the doorknob and maybe even get a kick plate, which is a strip of polished metal that is attached to the bottom of a door to protect it from scratches, dog paws and kicks. They’re functional, offer a classic look, and add interesting detail to the front of the property. Lighting plays a major role in how renters perceive a property—especially if there is a lack of large, open windows to bring in natural light. Installing new lights can make a drastic difference—it could be as easy as investing in new light bulbs. You could also make your place stand out by upgrading the entire electrical system to be more environmentally friendly. It may be a bit pricier than buying new bulbs, but it will also attract a new set of potential buyers; plus, it’s a viable reason to raise your rental rates. Plants make a huge difference, so get your green thumb out! The right vegetation will make the property look polished and pristine. If you’re not sure which plants to choose, turn to the internet and look for varietals native to the local environment. If you’re looking to pull in high-quality tenants, make sure you’re catching their eye with the right upgrades. These small investments can pay off in the long run. Choose a few or complete them all to give your rental property a facelift. Excellent suggestion for ever and i hope most of the people are be inspire from here. We also want more success as like you and i hope they done it.